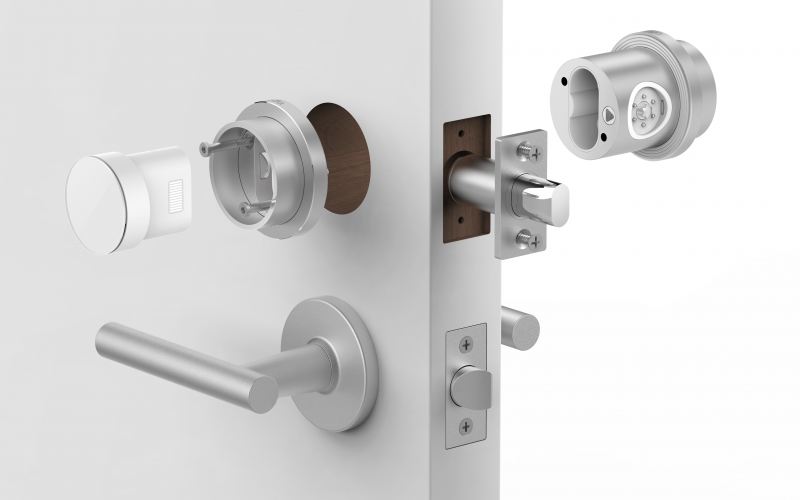 A new Silicon Valley company has designed a keyless, stainless steel smart lock that the firm says is the most secure on the market. Created by designer Nico Lylyk and a team of engineers with experience from Apple, Microsoft, and GoPro, the Otto Lock eliminates the need for keys or a keypad, ensuring it is not pickable or hackable, the company says. The lock’s physical strength and original encryption system have withstood tests by a fleet of robots simulating several hundred years of use. It meets ANSI/BHMA A156.36 standards for auxiliary lock testing. Otto’s sleek, corrosion-free stainless steel body appears identical on both sides of the door, giving it a minimalist design and appealing symmetry, the company says. It can replace most deadbolts in short and long backsets, and fits doors 1.66 to 2 inches thick. A circular piece of machined glass acts as an mechanical button and protects Otto’s display. Users can unlock the Otto remotely through the Otto smartphone app using Wi-Fi, or manually by pressing a glass panel to input a four-digit code. It will also open when authorized, bluetooth-enabled smartphones approach the door and a user presses the glass panel, meaning homeowners can give permission to trusted friends and contractors. From the inside, the lock can be opened by turning the dial or pressing the glass panel. Internally, the Otto houses 22 custom-designed gears made from marine-grade stainless steel, bluetooth and Wi-Fi hardware, a custom-made radar and accelerometer, an LED glass display, the adjustable bolt, two lithium batteries, and a custom coin cell backup battery. Depending on usage, Otto’s batteries will last between two and four months. The unit is 2 inches in diameter, and is available in three finishes, including steel silver, mineral black, and natural gold. It comes in five pieces, including a motor, ring, battery pack, bolt, and strike cup. 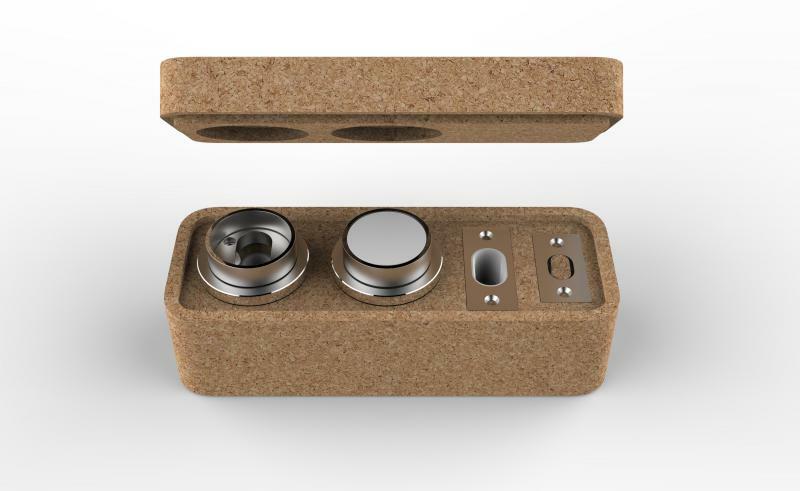 The sustainable, two-piece packaging is made of recycled Portuguese cork. Otto is available for purchase in b8ta retail stores or at meetotto.com.